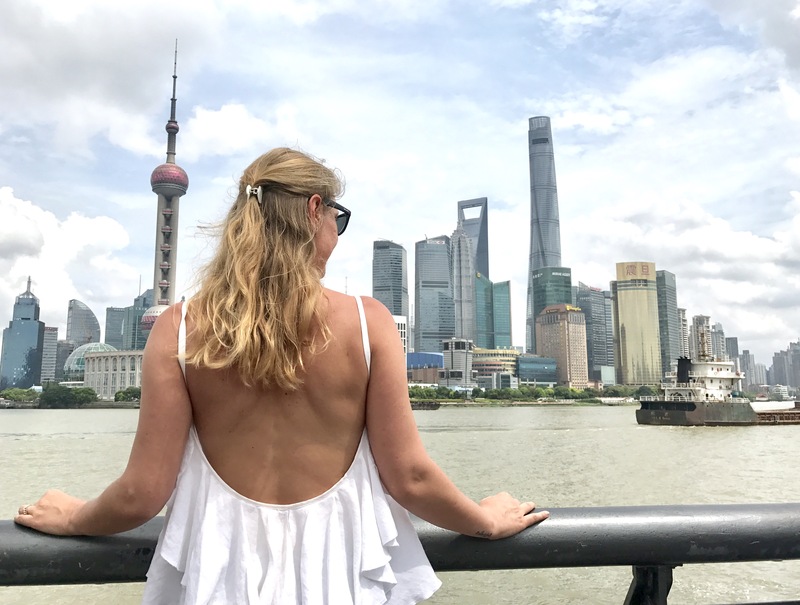 Shanghai, which literally means the “City on the Sea,” lies on the Yangzi River delta at the point where Asia’s longest river (6,300 km) ends its journey into the ocean. 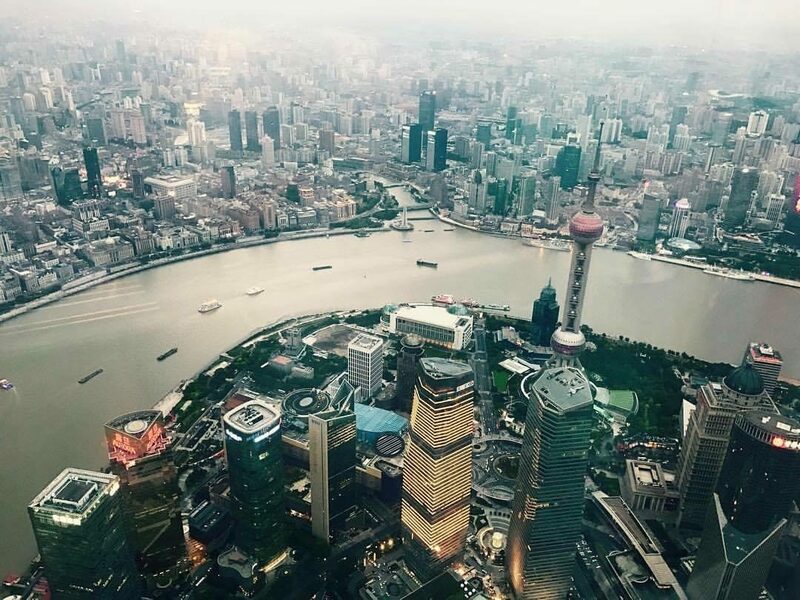 Now Shanghai is the largest and wealthiest city in China. 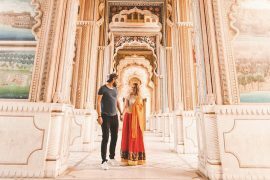 With a name synonymous with world trade, it has the largest and busiest port, a grand business district, two large airports, the world’s fastest train (the Maglev), and a network of elevated highways. But until 19 century, Shanghai was a simple small fishing village. In order to understand the real importance and meaning of The Bund you have to know the history of the place. It’s like a novel. After the first Opium War, the British forced China (by the Nanking Treaty) to open 5 ports, including Shanghai to trade, opening the city to foreign involvement and under their control. The village was soon turned into a city run by the British, French and Americans, all independent of Chinese law. Each colonial presence brought with it its particular culture, architecture and society. At first tea, silks and porcelain were exported from here while opium was imported. Later the city became a major financial center and banking was an important sector. 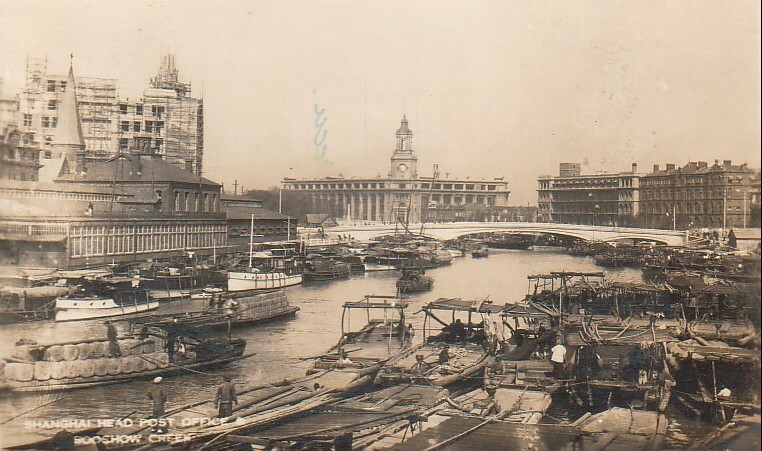 This is the period when it was constructed the Bund promenade and its emblematic buildings like The Shanghai Pudong Development Bank, The Customs House or The Peace Hotel. In its days, Shanghai was the place to be. 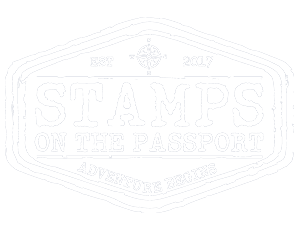 It had the best dance halls, restaurants, art, the greatest architecture, and the strongest business in Asia. The Paris of the East, they called it and it was known as a place of vice and indulgence. But starting with the 30’s the party was over. The Japanese invaded China and easily captured Shanghai. By 1943, at the beginning of World War II, most foreigners had fled and the concessions had been ceded to the Japanese, bringing Shanghai’s 101 years as a treaty port to a close. After the war, Shanghai went back to China and the Communist party. Closed off from the outside world, Shanghai fell into a deep sleep. Until Shanghai Communiqué was signed between China and US, which enabled the two countries to normalize relations and encouraged China to open talks with the rest of the world. Then, in the early 21st century, Shanghai boomed. Its industries flourished and many new high rise buildings were erected. The population of Shanghai also rose rapidly as the city grew rich: Shanghai World Financial Centre was built in 2008. Meanwhile, Shanghai Maglev Train opened in 2004. Then in 2010, the World Expo was held in Shanghai only a few to mention. 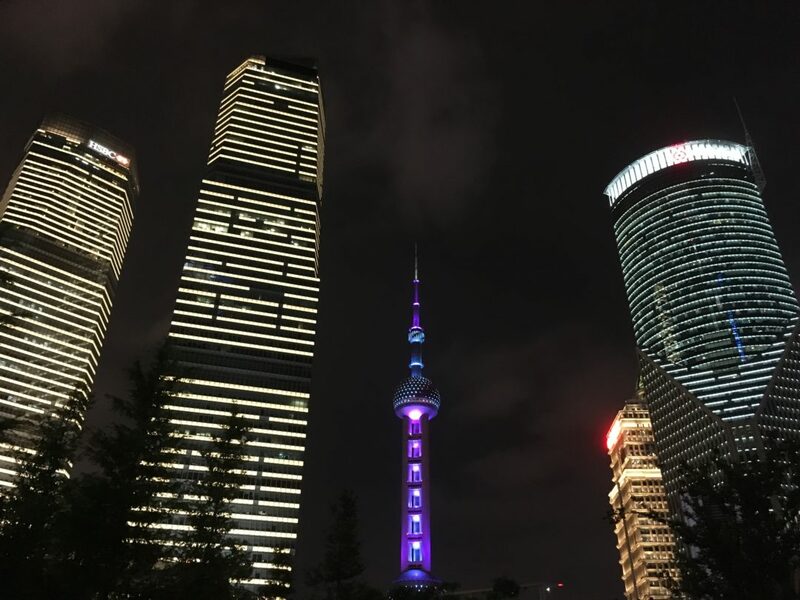 Today Shanghai has once again become one of China’s most open cities ideologically, socially, culturally, and economically, striving to return to the internationalism that defined it before the Revolution. It’s all about business. 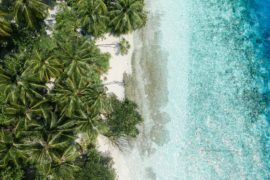 It now hosts the nation’s stock market, accounts for approximately one-fifth of the country’s gross national product, and serves as the most important industrial base in the nation. From the colonial architecture of the former French Concession to the forest of cranes and the neon-lighted high-rises jutting above the city, Shanghai is now a city of paradox and change. The Bund is a legendary waterfront (promenade) located on the western bank of the river. ‘Bund’ means embankment. The Bund is famous for its grand, Western-style buildings that were built in the late 19th and early 20th by the British and the Americans. The buildings feature architectural styles from Neoclassical to Beaux-Arts to Gothic to Baroque and they are a trill for your eyes. At first trading companies dominated the Bund, but soon they gave way to financial institutions as trade raised up here. By the early 20th century, financial institutions were the biggest industry in the Bund. Banks like the Hong Kong Shanghai Banking Corporation (HSBC) set up shop on the Bund. The first Chinese-run bank, the Imperial Bank of China, opened its doors in 1897. It is said that the most impressing building around here is The Peace Hotel, which was constructed by a Jew that left Baghdad and came in Shanghai for investments. Victor Sassoon built the Cathay Hotel in 1929, today The Peace Hotel, which remains one of the most famous buildings on the Bund. 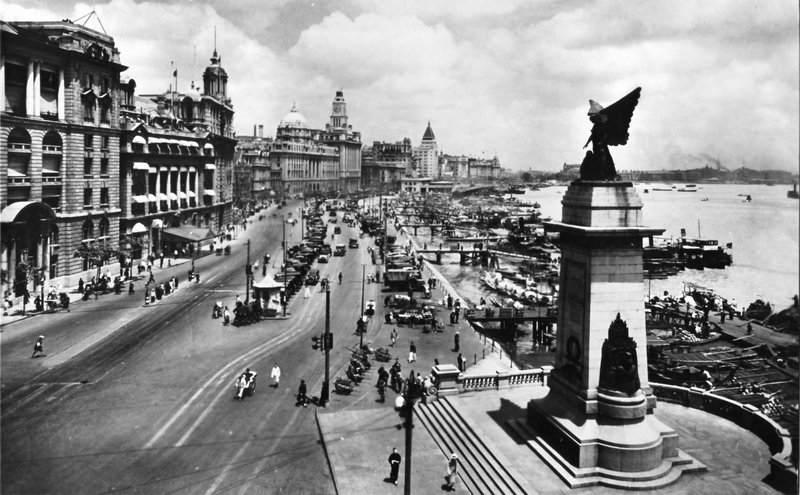 From 1920-1937, the architectural style was grander and gaudier, and the Bund reached its peak. Alongside the banks, social clubs like the highly exclusive Shanghai Club and glamorous hotels were built to accommodate wealthy tourists. The Bund became synonymous with alcohol, jazz, celebrity, and capitalism. Artists and writers came here to be inspired. 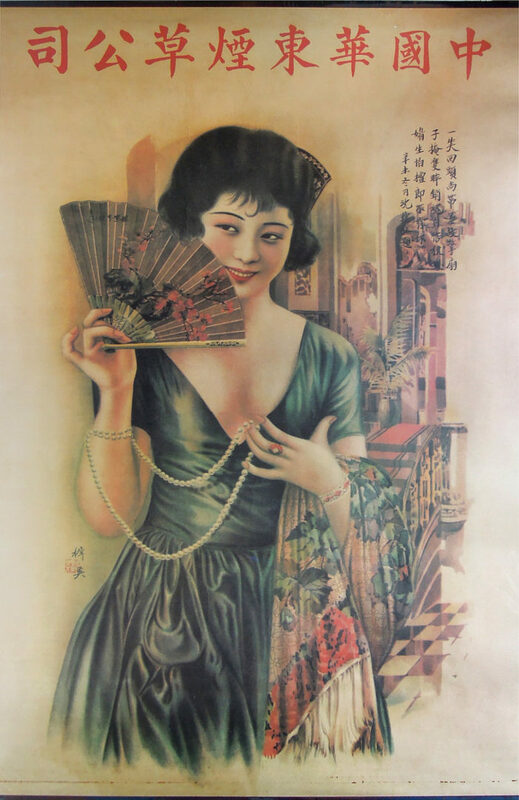 The rich and famous would flock to Shanghai and dance the night away with fancy cocktails in the luxurious clubs and hotels on the Bund. The city became the Paris of the Orient. But it wasn’t all the glam. The Bund and the city also earned the title ‘Whore of the Orient’ for its prostitution, opium dens, and an overall air of corruption. 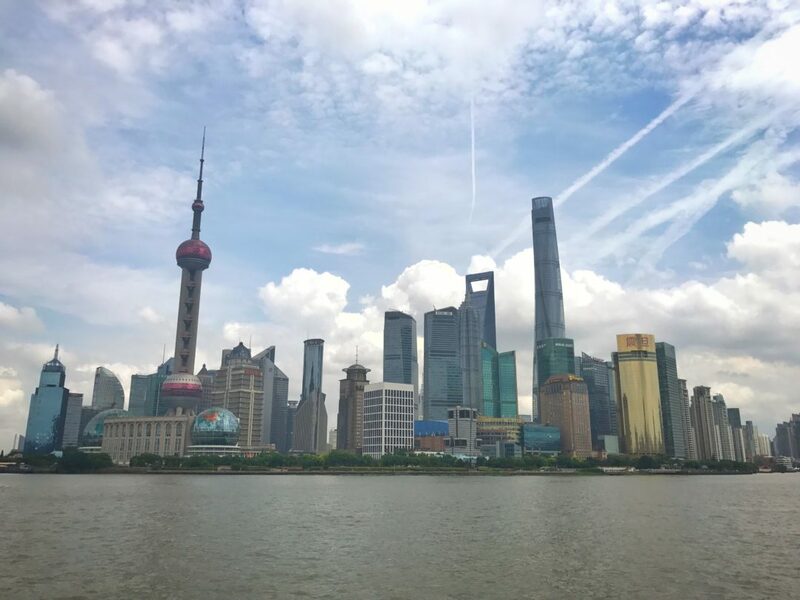 While I was strolling along the Bund, it was difficult to imagine how it must have been but it is a trill to walk here.On one side, there’s the early 20th-century business district with its stately brick bank towers and the Customs House with the city’s signature clock tower. On the other side the ambitious skylines, the heart of Shanghai business district. 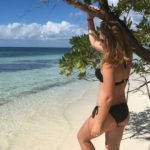 With more than 35 tall building that are over 200 meters. 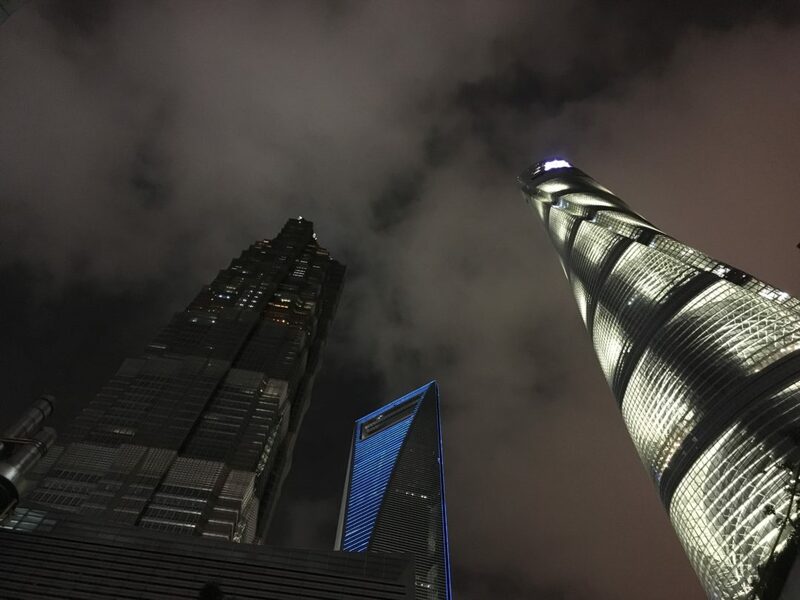 Two Shanghai skylines a century apart. 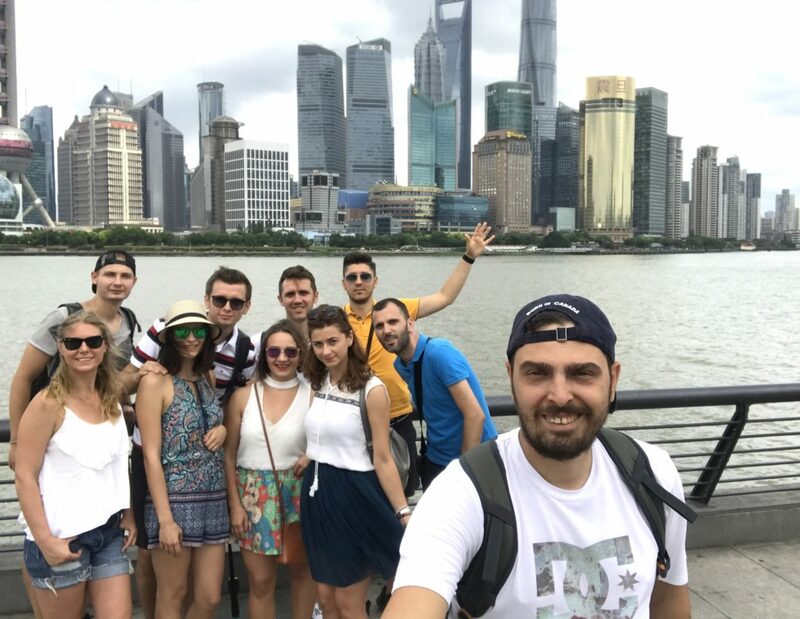 The Bund’s riverside promenade opposes a 21-century district, the Pudong district- city’s futuristic glass and steel towers, including the Oriental Pearl TV Tower offering stunning views, the pagoda-topped 88-floor Jinmao Tower and the spiraling Shanghai Tower with the world’s fastest elevators. 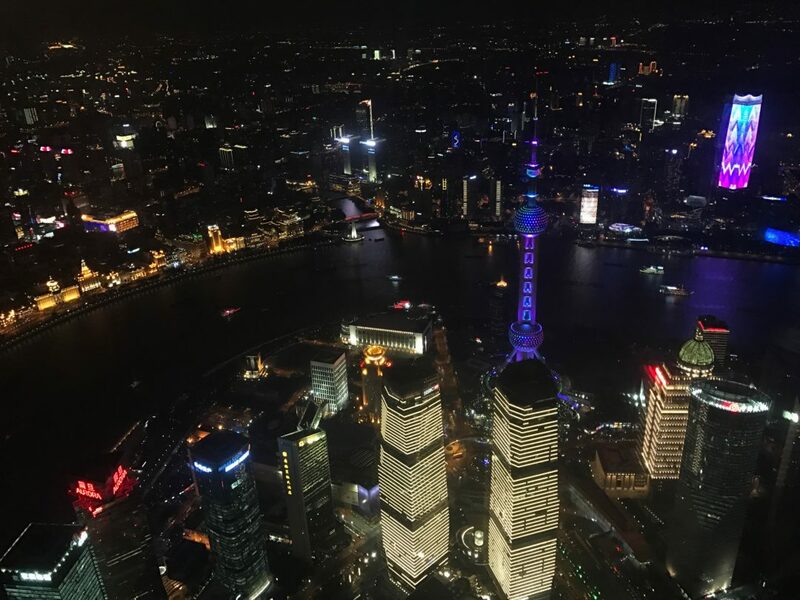 We choose Shanghai Tower and the view was the best. After a walk along the Bund, you can consider taking a Yangzi River cruise. 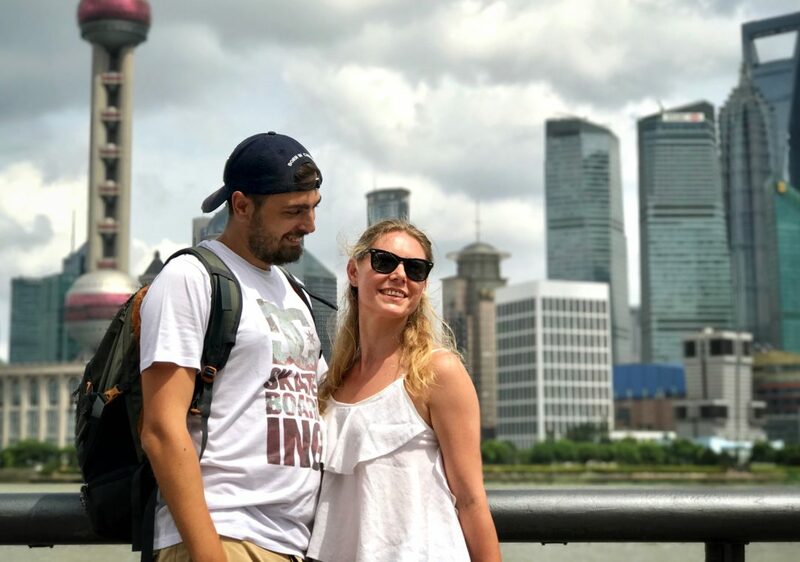 On the cruise, you will see the historical architecture on the Bund, as well as the modern skyscrapers opposite the Yangzi River, giving you a distinctive contrast between modern life and the past. But the best time to visit The Bund is before sunset. You can enjoy the sunset over the Yangzi River and stay until late evening to gaze at Shanghai’s spectacular skyline.